I created Gaucher's Chat because I wasn’t able to find the support I was looking for on the web. I wanted a place where people of all ages and types of Gaucher’s Disease could come together and discuss treatment, symptoms, and ups and downs. Gaucher Exchange is a place where anyone can come for information, support, or just to talk with someone like them. 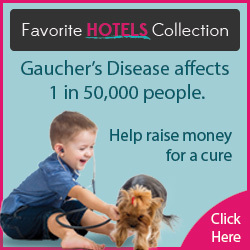 We are open to people who have Gaucher’s Disease, patient’s family and friends, and caretakers. Gaucher Exchange is open to all ages, and to all types of Gaucher’s Disease. We encourage everyone to speak openly and share a little about themselves with other people in the community. We are all here to support each other and give each other the information and answers we’re looking for. The people in this group may speak openly about issues in their lives. No one has permission to use this information in any way for surveys, grants, application approvals or denials, or any other purpose without the written consent from that person. Violating this condition is a violation of privacy and a HIPPA violation. October 6, 2015 - This Gaucher's Chat is not affiliated in any way with the Gaucher's Chat linked on the NGF site run by Jeff. While we have no issues with the current "Gaucher's Chat," we wanted to make sure patients know of the difference and encourage them to join both programs.